In the changing healthcare landscape, where patients can already self-manage much of their healthcare via online consultations, digital dispensing and Dr. Google, our Founder and Creative Strategist, Jo Spink explains the rationale for ongoing investment in innovative HCP communications. At Spink, we’ve experienced first hand the influence of HCPs on consumer behaviour and purchasing choices for nearly 30 years. HCP endorsement has delivered some of our most impressive campaign results including a 1,000 percent sales spike from a TV doctor recommending an OTC product for painful joints; 12 percent category growth when school nurses were recruited to educate mums on the symptoms of threadworms and thousands of pieces of sales-driving coverage utilising engaging, charismatic and interesting HCPs for various media activities. But in an environment facing unrivalled levels of disruption over the next decade, with patients already managing much of their healthcare from home with the aid of their fitbit, iWatch, online consultations and monitoring apps, how will the influence of healthcare professionals change? Undoubtedly, HCPs still impact on consumer engagement and behaviour. Recent patient surveys we have conducted show that HCP product recommendation is key for those consumers self-managing their joint health, anxiety and irritable bowel syndrome (IBS). Increasingly though, the tactics and tools that we invest in will need to reflect changing consumer habits and behaviour. For example, understanding that younger consumers are more likely to engage with an expert video on YouTube than to chat to their pharmacist face-to-face will ensure savvy investments that deliver great ROI. In addition, further Spink research has highlighted that influential HCPs have a greater influence over their peers than expensive glossy training packs and sales visits. 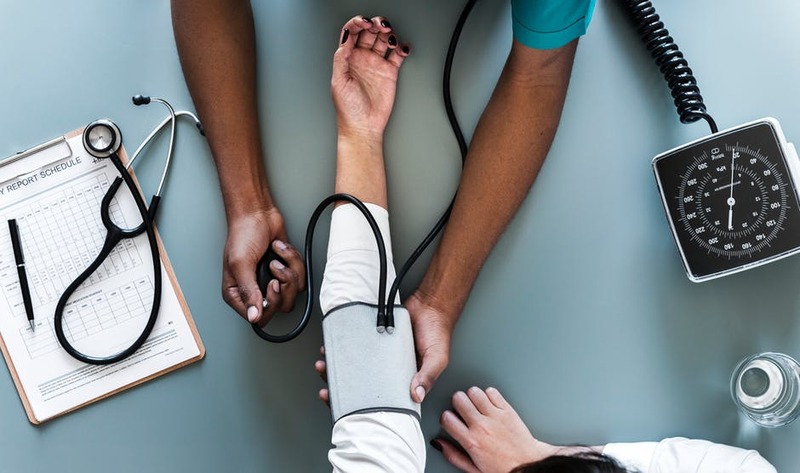 Choosing experts with credibility and impressive professional affiliations can ensure that an expert-authored feature or presentation can reach out to a wide range of influential HCPs. Long and trusting relationships can also be key. For our joint health client, we have worked with the same respected rheumatologist for eight years. We have always respected his independence and value his ability to communicate important health messages in a professional and unbiased way. Feedback from the many media events he has hosted is usually 100 percent positive with his quotes appearing in over 60 percent of all coverage. Well organised advisory boards are also extremely valuable. Outcomes of a recent ad board convened by our agency and attended by the UK’s leading joint health experts has helped drive recommendation for an OTC supplement with primary and secondary professionals, patient organisations and industry bodies. Using these techniques, GSK has transformed Sensodyne toothpaste from a small, niche product to a $1bn brand. Crucially, it recognised the unmet need for a tooth sensitivity pain treatment and successfully engaged dentists as educators and recommenders. Through an HCP education programme which highlighted the extent of tooth sensitivity pain, and by ‘bringing dentists out of the surgery’ to participate in advertising and other marketing communications, Sensodyne has cemented its core values of expertise and authority. It is now the #1 dentist-recommended sensitivity toothpaste in many markets and sustains a price premium versus competitors such as Colgate in the sensitivity category. Today’s communication landscape is unrecognisable from that of 20 years ago, so don’t fall in to the trap of putting HCPs in the marketing box labelled science, efficacy and education. Do push the boundaries utilising HCPs across your consumer campaigns, consumer stories across your HCP campaigns and utilising innovation and synergy across both. Be selective in your choice of expert. Those who are up-and-coming and charismatic are often more accommodating, engaging and credible than the most well-known KOLs. Biogen handles this well with their 1MSg Multiple Sclerosis campaign, using the well-known UK TV doctor, Dr Christian Jessen to speak to consumers, and highly respected consultants for HCP communications, such as Dr Martin Duddy, Clinical Director and Consultant Neurologist at Newcastle Hospitals NHS Trust. Ensure experts are appropriate for your consumer, media or professional audience and respect the HCP hierarchy. In some of our recent work, a hand-picked group of paediatric pain experts highlighted why paracetamol was generally recommended as first line and generated a recommendation that ibuprofen had clinical advantages, encouraging HCPs to review their guidance. Leveraging these outcomes through a professional and consumer media campaign resulted in a 21 percent increase in market share for ibuprofen-based Nurofen for Children for client RB and positive recommendations from pharmacists, nurses, GPs and midwives. Commissioning a quick poll with HCPs can often provide surprising results about the current management of common conditions and may expose surprisingly simple solutions. A recent survey we carried out for Stiefel revealed that due to time constraints, a simple expert-endorsed A5 advice card would improve multi-disciplinary management, patient care and recommendation for a leading range of emollients. Detailed clinical packs, training modules and sales aids were deemed too time consuming by GPs, nurses and pharmacists. Securing the support of a key patient organisation, industry or professional body can unlock valuable third party endorsement and access to a niche group of specialists and patients. Our work with the National Eczema Society (NES) for Stiefel resulted in NES-endorsed materials for nurses and pharmacists and numerous joint ventures including HCP awards and media briefings. Similarly working over the years with the Royal College of Nursing and the National Pharmaceutical Association has offered valuable third party endorsements and access to key influencers. Remember that HCPs are consumers too and will respond to engaging content often reserved for consumer campaigns. This is something that Viiv Healthcare understood with the recent ‘Change the Face of HIV’ campaign, developed by GPs, for GPs. Designed to overcome the barriers to HIV testing in UK general practice, the campaign deployed creative content across social and digital channels, together with media outreach, to prompt GPs to start ‘thinking’ to test for HIV. Working also with clinical commissioning groups in high prevalence HIV areas, the campaign used education and training materials to support GP learning on the ground, helping them know when, how and why to test, and equipping them with the skills to do so. Colorectal cancer (CRC or bowel cancer) is the most common type of digestive cancer in Europe, with 68 cases per 100,000 population but with the introduction of organised and effective population based screening programmes, in some countries, there has been a significant reduction in mortality rates as cancers are detected earlier and thus more rapidly effectively treated. 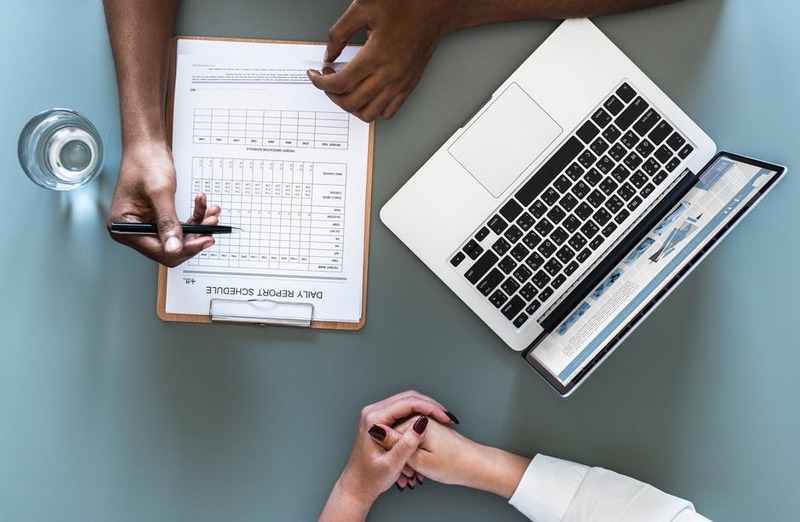 There have been a number of studies carried out, particularly by the Research Department of Behavioural Science and Health at University College London, into how differing types of communications inviting individuals to participate in screening can impact uptake. The ASCEND study in the UK for example assessed four interventions aimed at reducing poor uptake amongst deprived groups. The most effective intervention was a reminder letter with a simplified message and a personalised banner at the top and a risk emphasis banner at the bottom. This approach had a statistically significant impact upon uptake amongst the most economically deprived group. Another recent study by the UCL team indicates an increase in uptake of non-participants if reminders are sent and an even greater uptake if reminders are sent with localised information – especially amongst men vs women. Previous attempts to maximise attendance through emphasising the benefits of screening have been replaced by efforts to enable individuals to make an informed choice, through the provision of comprehensive information and whilst there is some evidence to show that this increases uptake in certain groups, for individuals to make a truly informed decision regarding screening, it is important that they not only understand the potential harms and benefits but also the purpose of screening. This could prove to be over-whelming for some and requires good levels of literacy. The results from such studies have provided some indication of improvements in participation rates but there is still more evidence required and the only true outcome is that a one size fits all approach does not work in engaging with non-participants. This corresponds to a consensus amongst CRC medical experts and patient organisation representatives meeting at UEG Week 2014, who agreed that communications encouraging participation in screening programmes should be simple, emotive and factual but with a tone that is applicable to specific target groups of the population. A further consideration in the UK, particularly when addressing the next generation of screenees, is whether it is still appropriate for health authorities and bodies to be communicating with the target population using NHS labelled materials and channels that look and feel out-dated and, in my opinion, are out of touch with a modern generation. I would advocate greater use of social media communications and the use of tone and imagery that were more relevant to a modern society. I also believe that the NHS should look more closely at fmcg marketing and communications tactics and take an approach that is more engaging with the consumer and taps into the modern psyche. The power of ‘word-of-mouth’ and viral campaigns in the fmcg world is considerable and not only engages with the end user but creates brand loyalty and referral. It is this type of communications environment that is required to help improve engagement with a wider audience and improve uptake of and adherence to cancer screening. What if brands like Carlsberg, Durex or Pepsi did screening? How different the situation might be? It is time to re-evaluate our communications approach when it comes to CRC screening, to ensure that we get more people on board, especially those from groups who are traditional and serial non-participants. We need a personalised communications programme in a style that is more engaging, appropriate and targeted at the individual , which in a date and personal profile driven market is highly achievable. In post-referendum, post-truth Britain, we find ourselves at many crucial impasses. The result of last June’s poll revealed an embarrassment of grievances among the British public, some of which had been thinly veiled for many years; others which seemed to emerge from deeper below the surface. Among the familiar complaints surrounding immigration, Brussels bureaucracy and a relinquishment of control over our own laws, there emerged a distinct and at times concerted attack on those who, for a long time, seemed immune from criticism: experts. The expert has, throughout time, been viewed as an almost omnipotent figure. Particularly in the pre-internet era, the perceived lack of available information for ‘normal’ people helped to elevate the expert to a position atop the proverbial hill, looking down upon the rest of us. Those days seem, for the moment at least, to be over. Indeed, the advent of the internet and the democratising effect that it has so profoundly brought about, perhaps signalled the beginning of the end for experts far before the EU referendum, and the subsequent US election. Access to information and misinformation; facts and alternative facts; truths and half-truths at the click of a finger has always seemed a worrying phenomenon for many true experts, yet their societal status has not come under such existential pressure as it does now. Whilst it may be simplistic to conflate Michael Gove’s comment that “people in this country have had enough of experts”- about which he was referring specifically to economists- to include all experts in all fields, it would not be unreasonable to suggest that this is, in fact, true. Be it bankers, pollsters, climate scientists or academics, a few decades worth of experience in the field or a series of letters after one’s name seem for many, to mean nothing compared to the lived experience of the individual. While Joan’s question may seem a flippant one, it is getting at the heart of an extremely salient issue, about the huge chasm that exists between experts and the rest of us. This is not to say that this chasm hasn’t always existed. Experts may be no more distant or disconnected from the rest of us than they always were, but in an increasingly interconnected world, we’re certainly recognising it more. Rightly or wrongly, many experts have been slow to adapt to a world in which their actions are easier to scrutinise, and to be held accountable for. Instead of bringing themselves closer to an increasingly dubious public, experts across the board have largely maintained and even extended the virtual gap between themselves, at the top of the hill, and us at the bottom. In a 2016 piece for The Independent, Dr Julia Shaw discussed the problem with experts. “To many people, expertise is a foreign language… When experts talk, they often fill the air with complicated words and unintelligible acronyms. Experts seem to want non-experts to rise to their level of sophistication, rather than approaching non-experts with appropriate language.” While no amount of non-expert criticism would have altered Mark Carney and the Bank’s forecast for post-Brexit Britain, and it is eminently possible that his predictions will prove to be correct, perhaps if he would have modified some of his language in the lead up to the referendum -“The global general environment has become much more febrile, much more volatile, and relying on the kindness of strangers is not optimal in that kind of environment”- and tried to strike a somewhat more convivial note, some of the Brexiteers may have been more receptive to his expert opinion. This point is central to the expert issue, no matter the sector, and the communications industry has a vital role to play in re-connecting the public with experts, and vice versa. As an industry, we have a responsibility to provide the public with clear, authentic messages and experts can and should be a part of that. But it is no longer enough for the industry to act as a mouthpiece for experts. With the internet and social media acting as the great levellers of society, the proverbial hill no longer exists, and experts must be seen to be speaking directly to consumers, and from the same level. A 2015 study conducted at the University of Muenster in Germany concluded that for experts to be effective they must portray three characteristics of ‘epistemic trustworthiness’: expertise, integrity and benevolence. To rebuild public confidence in experts, it is up to us as industry professionals to find the right experts, capable of portraying not only the right messages, but in the right way. As an agency, we pride ourselves on our ability to find and build relationships with not only the most knowledgeable people in their fields, but also the people who can communicate that knowledge and expertise in the most effective way. This ethos has helped us to provide stronger, more reliable results for our clients across sustained periods of time. Whether launching a new product, raising awareness of a certain disease area or building the profile of a fledgling organisation; start by providing a platform for effective, relatable experts to have their voices heard, and the rest will surely follow. Applying effective measurement and evaluation to communications campaigns is vital in the field of public relations. It provides justification for why an activity was carried out, allowing marketing professionals to assess whether the campaign achieved the objectives that it set out to meet. Of equal importance, evaluation provides insight to help shape the future activity of a particular organisation, service, brand or product, leading to better decisions and improved outcomes. Advertising value equivalents (AVEs) are a metric that claim to provide practitioners with insight into the value of earned media coverage, allowing easy comparison between earned and paid-for media. It is a technique that has long been criticised, but has recently received a particularly high level of attention within the communications and public relations arena, and for good reason. In 2015, one of the Barcelona Principles – a widely recognised set of seven principles that provide an overarching framework for effective public relations measurement, produced by the International Association for the Measurement and Evaluation of Communication (AMEC) – outlined that the AVE metric “does not measure the value of PR or communications”. Following this, AMEC launched a major global initiative in early 2017 to eradicate the use of AVEs. AMEC state that they are “committed to a long-term campaign to eradicate this meaningless metric and educate professionals on better and available alternatives” and their initiative has received widespread support from a number of leading influencers, trade associations and organisations. In May, the Chartered Institute of Public Relations (CIPR) released a statement in response to AMEC’s initiative, stating that it will publish a new professional standard on public relations measurement in the autumn which would outline an expectation of members that the use of AVEs will cease. The CIPR has pledged to ban AVEs from industry awards and has also specified that members found to be utilising the metric may even be liable for disciplinary action. With this in mind, education on the importance of metrics that truly reflect the value of our work must be provided for media relations practitioners and information should be provided by industry associations on suitable alternatives to AVEs that always relate back to the original objectives of each media campaign. The development of digital technologies has revolutionised marketing and has provided a number of new ways in which performance can be measured within public relations and communications. Traditional media and offline metrics outside of AVEs, such as an increase in awareness or a change in attitude, should be combined with new web and digital metrics that relate to the digital boom. The number of click-throughs, the volume of web traffic, the levels of social media engagement and the understanding of a customer’s journey are all appropriate methods to measure the success of online campaigns. Effective metrics provide clients and budget holders with the assurance that they are receiving a high return on their investment. However, if public relations agencies and in-house media teams wish to receive a higher proportion of marketing budgets, we need a comparable metric across ALL marketing principles, allowing for a quick comparison on the return on investment across different channels, including traditional media relations, digital marketing and advertising. New tools, such as AMEC’s Integrated Evaluation Framework, which provides an integrated approach to measuring campaigns, have been introduced to allow organisations to combine traditional and new evaluative techniques to communications, but there is still some way to go in finding an adequate solution for comparison across the whole marketing industry. Measurement is central to our business discipline and, whilst the vast majority of public relations professionals would agree that it is time to stop the use of AVEs once and for all, it’s imperative that this metric is suitably replaced by other evaluative techniques. As industry professionals, we need to embrace this transformation and follow guidance set by leading associations, influencers and organisations, who must set the standard by providing universal education and accessible frameworks on metrics that can be applied across all areas of marketing. It is only when we are all on the same page that we can truly prove the value of public relations, without the use of AVEs, in the evolving communications environment. Speak to Luke Paskins to find out more about how we measure and evaluate for our clients.